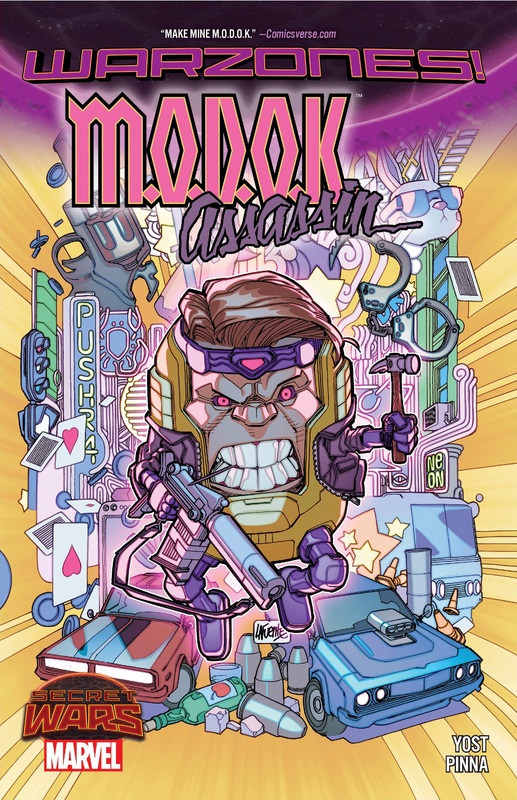 In Killville — a Battleworld realm populated by fearsome thieves, murderers and ne’er-do-wells — there exists one who is a HEAD above the rest: M.O.D.O.K., the Mental Organism Designed Only for Killing! That’s right, the Merc with a Maw is open for business — but his next job may be biting off more than he can chew (which is a lot)! When a Thor crash-lands in Killville, M.O.D.O.K. sets out to do what he does best — but impossibly finds himself (giant) head over (tiny) heels in love! 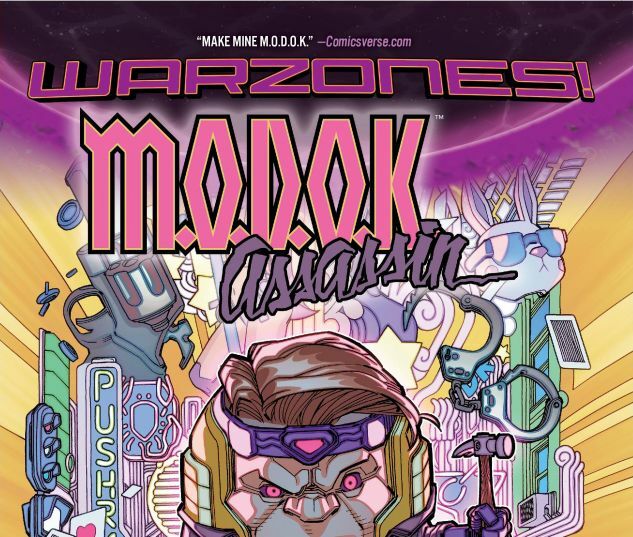 With the Thor he loves targeted by another ruthless Killville mercenary and a larger conspiracy becoming apparent, can M.O.D.O.K. keep ahead of his rivals, save the love of his life and uncover the truth? 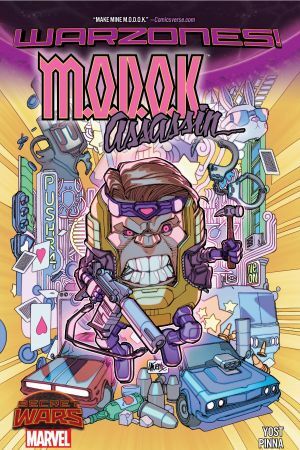 Will M.O.D.O.K. save the day? One thing’s for sure: He will live up to his design! Collecting M.O.D.O.K. ASSASSIN #1-5.